Over Trained and not missing it. What an eye opener I’ve had. 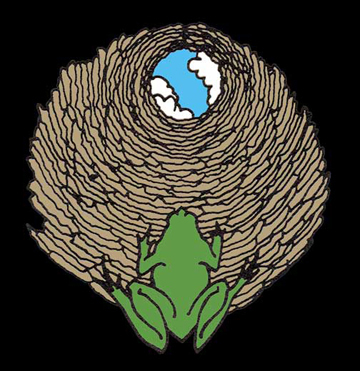 Sometimes, When wondering when my paradigm will shift again; I imagine myself a well frog. I think about the well frogs often . The well frogs reside in the safety of a kingdom that is all theirs. Even while living in the dank and darkest recess, they are king of their Domain; and the asset of safety is the crown jewel. I recently left my well, and have discovered the ocean. The journey from well to ocean is scary and fraught with peril. There is failure to be had. OK time for Confucius to take a rest. Anesthesia these days comes in many flavors. ok three flavors. When you next have an anesthetic it will come in one of the following three forms. 1. and Anesthesiologist; MD trained will preform your anesthetic by himself. He will bill your insurance and you will pay him. He alone will be responsible for your safety throughout the procedure. 2. A Nurse Anesthetist (CRNA); Nurse trained will perform you anesthetic by himself. He will bill your insurance and you will pay him. He alone will be responsible for you safety throughout the procedure. 3. ACT or Anesthesia Care Team; In this instance Both an Anesthesiologist and a Nurse Anesthetist will provide your anesthesia; (theoretically in tandem) This model is touted as the most safe because; as with all things two heads are better than one. Your insurance will be billed about 8% more for this duo but you may decide it worth it. Millions and millions of dollars are thrown at lobbyist each year to protect both these professional from being “gobbled up” by the other. Almost no other professional “turf battle” consumes more money and time than this one. I am a Nurse Anesthetist and I acknowledge my bias; I was trained in the house of nursing where the patient is the center of the caring model. I only realize now that my training is unique. Though I have my roots in nursing I have spent the last 5 years in a medical anesthesia residency program. When I first came on board they were very short handed for labor so as a nurse anesthetist student I was thrown into a mix of Anesthesiology residents. I did the same cases they did, attended the same conferences they did and when I graduated, I stayed on as faculty in the School of Medicine and continued the identical “clinical training” as my physician counterparts. “Hell”, comes closest to describing my experience/training in these years. As staff we practiced the ACT model. A model in which one Anesthesiologist “presides” over 4 (ideally) nurse anesthetists. It is often stated in our craft that this model is the “MOST SAFE”. We are made to believe that it is not because Anesthesiologists are soooo much smarter than we are but rather because there is always safety in numbers. I wondered if that was some kind of sweet lullubaye sung to our conscious. Anyway, I have moved on now and am now practicing in the model of nurse anesthetist in “solo” practice. Incidentally, this is the most commonly type of model practiced in our country today. 65% of all anesthetics are by nurse anesthetist in solo practice. In hind site I now believe the Anesthesia Care Team is the least effective, safe and economic way of delivering anesthesia. When an Anesthesiologist and Nurse Anaesthetist work together they each practice in a false sense of security. Some patients are at higher risk than others for anesthesia as example; the pediatric patient with a cold or fever, patients who recently have had chest pain, certain disease states that put patients at risk for certain types of anesthesia. When these unfavorable conditions present themselves in the ACT ;each of the professionals may have a tendency to lapse into complacency with the ever present sub-conscious plan that if something were to go “wrong” one would simply blame the other for any resemblance of malpractice or negligence. WHEREAS, when a provider is on their own to provide anesthesia. The sense of responsibility and culpability is heightened and the above mentioned cases are treated with a far more conservative approach. Both types of professionals are very good at their craft, each is capable of performing anesthesia and rescuing patients found in 98% of our hospitals and surgical centers. In my unique training experience I feel like I can certifiably say that there is a component of education missing in the medical model. It is intangibleand unexplainable; the years of nursing in critical care are simply irreplaceable by any amount of time or rotation in an internship. On the other hand an anesthesiologist my argue that my education as far as disease process and physiology is laking compared to his. Their is something to that argument I would concede that when it comes to the kind of fungus you can get from a hot tub, or what kind antibiotic I should prescribe for your chlamydia i am completely at a loss. IN SHORT my new paradigm is that Anesthesiologist should work alone in their practice and Nurse Anesthetist should work alone in their practices. I have watched the ACT cost tax payers Millions over the last few years and this does not happen otherwise. 6/23/08 disclaimer; if you post a lie or attack what I have stated is my personal paradigm you will be deleted. Otherwise, all are welcome to contribute. I have also been mulling this over, and I think you are right. Have you any Rye Bread? Lots of mis-information. It does not cost more to have the ACT. Anesthesia svc are billed using CPTs and units for time. e.g. lap chole 00790 plus time and modifiers. It does not account for who is providing the anesthesia. So please stop with the BS. Also, is it really patient centric care when my fellow CRNAs want to leave @300 pm no matter what is happening in the case. They seem not to care about patients at 3 PM. CRNA collect 92% instead of 100%, am I wrong? In the ACT I worked in we were never in the black because we paid so much overhead. CRNAs who leave at 1500 are employees and not partners. its in how thier treated, please don’t bedraggle this into patietn care. Stating that paying 2 highly paid professionals for the same amount of time does not cost more than a single individual is an absurdity QED. Apparently that education of yours isn’t working too well. Leslie, your whole story doesn’t even pan out. One person (your new MD) does not suddenly have 3 times as many hours in their day simply because they spent 4 years convincing themselves that they are god. Sounds like a business problem of having 3 people when you only need one, not a skill issue. Go buy yourself some more lobbyists, because the politicians aren’t smart enough to see through your deceits. Dan, you describe a business and Incentivization problem. sorry Genius I had to delete him, he was lying. No CRNA becomes an Anesthesiologist. thats about 20 years of school. So, are you basically telling me that the last 5 years of my life have been a waste in supporting my hubby? He should have become a CRNA? Actually, he does tell anyone interested in medicine to become a nurse and to highly consider becoming a CRNA. And, I agree that they should each practice solo. not a waste, I stated both are very capable. Just no reason to over bill by double stacking professionals. I am glad we have anesthesiologists. I just dont like the model where they watch espn while I do the work. equal pay for equal work is our montra. So we agree then they should work solo. I could even see both working in the same instituion just doing their own cases and in fact many places do that. I am only attacking the ACT (anesthesia care team) as a waste. I’ve seen both work. But many surgeons request at least some M.D. involvement. Here at Kaiser P. in N.CA we have lots of CRNAs but the surgeons ask for M.D. at first sign of issues. They don’t have the patience sometimes. Others are ok. Depends on the cases too, some new CRNAs can’t handle the big cases and may hurt patients. So you need someone to watch over them/help them. In rural practice lots of CRNAs are alone. But in big city settings, it is hard to win contracts, etc. Denver, Pheonix, SF, SD, hard for CRNAs to break in. For now. We need to support the AANA so we can get those jobs too. CRNAs collect the exact same billing as Anesthesiologists in every instance unless a special arrangement has been made. There cannot be a bill for more than 100% of a case, therefore, it does NOT cost the patient more (at least directly) to get anesthesia in an ACT model facility. Where it DOES cost more for anesthesiologist (in or out of the ACT) is the stipends they demand from the facility to maintain incomes. Depending on the size of the dept (and payor-mix) this has been documented to be anywhere from 2 mill – 10 mill. THAT is extra cost for the SAME service which is, in turn, certainly passed on to the patients in some way. As for CRNAs becoming anesthesiologists, there are at least 3 that the ASA uses as ‘poster children’ for their cause. Clearly they would not pubically say they DIDNT think MD > RN since it would both invalidate their choice and blacklist them. If there are CRNA -> MDAs who do say this you would never hear from them. As for the comment “at 3 pm the CRNA is out the door” well i would retort that at 3 pm CRNAs are apparently competent to do every case and handle everything in the hospital since the MDAs leave or sleep. It is simple logic to see the disparity between each profession. Here it is, in short. TOTAL = 7-7.5 years (my trip is 16.5 as i had 10 yrs experience). Including an undergrad for medical school is irrelevant and yet they do that often. Sad. So MDAs have a total of THREE years of anesthesia related experience which they get in residency. There is little or nothing (per those ive talked to) which is relevant prior to that 3 years. CRNAs get 27-36 months of anesthesia training of which a year is didactics. + prior experience. So when an MDA finishes residency I would concede they are more proficient (generally) than the 1st year out CRNA. Simply because of anesthesia hands on experience. However, within 2 years this is negligible since most anesthesia is delivered in the “care model” be it supervision or medical direction, the MDA RARELY does cases and so their experience ends. The CRNA, however, does the actual anesthesia every day. I would also concede that many MDA’s have greater specialty knowledge IF they do fellowships. Though most do not. It isnt that MDAs are bad, certainly their are good and bad as with CRNAs. What is the case is that generally, they are NOT better however are taught that they are. Its a perception issue and their organization, the ASA, continually perpetuates the falsehood that greater time in school = better provider, something patently disproven in the literature. Thankyou admin I agree with your comprehesive assesment. I may have falsly been under the impression that we collected 92% of total wich is why I tacked on the 8% for the ACT. I also have for a long time did the math the same way you have, as counting an undergrad degree is pointless given it is not a requiremt. My former facitity could never make any money i fear becuase the ACT refused to practice 4/1 and rather did 2/1. furthermore, the intent of this blog is not to say I am better than anyone else. I am only trying to say that now that I have done both I can certify that the ACT is broken. I have absolutely nothing to add to this discussion execpt that if people lived healthier and didn’t need your services as often, my insurance premiums might be lower.